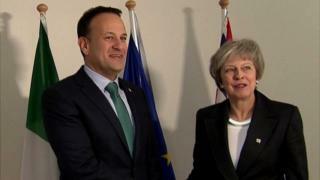 Mr Varadkar outlined that since the Brexit referendum, his government had working relations with their British counterparts at all levels - not just prime ministerial. "We've made sure over the last two years we have very good links not just at prime minister-level and taoiseach-level, but also between Phillip Hammond and Pascal Donohoe, between Simon Coveney and David Lidington and so on," he said. "Whoever is prime minister we will work with them. "It didn't have to be this bad, I think what's happened is the UK is now consumed with Brexit." He added: "Even after they leave, assuming they leave with a Withdrawal Agreement, they will spend two or three years consumed about what the future relationship is going to be like. "It's important that we make sure we're not consumed by Brexit and we're not defined by it. "So my job as taoiseach is to ensure we limit any damage to Ireland as a consequence of Brexit."